Netflix is giving Andy Serkis' dark take on Rudyard Kipling's beloved Jungle Book a theatrical release as Mowgli arrives sooner than expected. 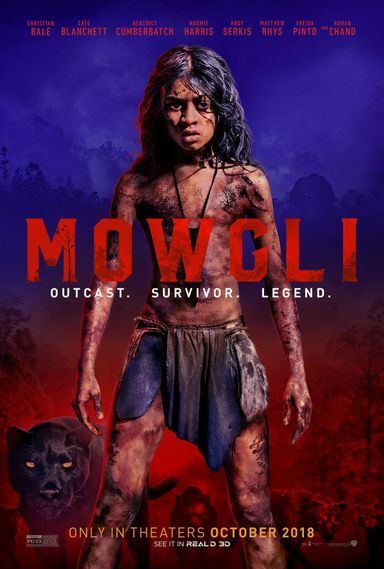 Director Andy Serkis' Jungle Book movie Mowgli will debut on Netflix in 2019 instead of in theaters this October. Andy Serkis shares the first Trailer for his Mowgli movie, proving that it's much darker than Disney's Jungle Book. Warner Bros. has released an official synopsis for director Andy Serkis' version of The Jungle Book now called Mowgli. Andy Serkis thanks Warner Bros. for pushing The Jungle Book: Origins out of its 2017 release date, teasing the movie's ambitious scope. Director Jon Favreau discusses his upcoming adaptation The Jungle Book with stars Neel Sethi, Ben Kingsley and Lupita Nyong'o at D23. Andy Serkis makes his directorial debut with Warner Bros.' The Jungle Book, starring Benedict Cumberbatch and Christian Bale. Actor Andy Serkis makes his directorial debut with Warner Bros.' adaptation of Rudyard Kipling's classic novel The Jungle Book. The actor-turned-director reveals that the first twenty minutes of the Apes sequel is nothing but chimps. The director is replacing Alejandro Gonzalez Inarritu, who left the project due to scheduling conflicts. Talks broke down between the Babel director and Warner Bros. First timer Callie Kloves is behind the screenplay of this classic adaptation.